Goals 2014: How Will You Keep Developing Your #Leadership Skills Next Week? What Connections Do Leaders And Managers Inspire? Are you content to leave tackling your leadership goals until the New Year? Or are you ready to spend 5 minutes today planning your next step towards self-development? What Happens When Leaders Build On Their Strengths? Leaders can measure their performance gains, when they take action on the goal of developing their strengths. The article from which I’ve taken these data was written by Behavioural Statistician Joseph Folkman and is published online by Forbes magazine. What More Could Leaders Do? I think it would also be valuable to see how the people who directly report to those leaders view the ‘After’ picture. Also other stakeholders might have valuable views on what the leader’s post-improvement results look like. Do those groups feel more connected to their leadership figure after they have developed, compared to before the change occurred? The biggest ask would involve leaders applying themselves consistently to the areas in which they are not strong. After all, it is relatively straightforward to take action to build on your strengths. Taking these actions involves going with the flow and doing the things that feel nice and rewarding. How Challenging Is It To Go Against The Flow? The real challenge – which involves working against the flow – means acting on goals which involve deep, authentic, growth work. These are the areas where resistance is strongest. These areas touch deep seated fears and are the ones where the knot in the gut usually gets in the way. That hard work pays off, over time. There are real rewards in overcoming that resistance. Rewards for self, colleagues, and clients. There is a sweetness to those development gains too. What Does A Mix Of Goals Look Like? Prioritised being more assertive (so that she could have a more effective working relationship with her supervisor during her personal development phase). She was understandably pleased with the results she achieved, over time, by combining straightforward and hard to reach goals. Which Strength Building and Challenge Goals Will You Act On? Please use the Comment section here to share your stories of pursuing your goals. Let your colleagues and friends know that goal setting isn’t time consuming and that effective support makes the difference, whether you are in the US, UK, EU or further afield. Your success will inspire plenty of people who need a nudge to get going. (Tweet me @RogerD_Said and I will continue the conversation there too). Goals 2014: How Can You Boost Your #Skills By #Volunteering ? Are You Developing Your Skills By Volunteering? I have blogged previously about the benefits of volunteering – within an organisation or in the community – as a way to boost your skills. Well I had the chance last week to add to Joel Kremer’s Linkedin discussion about the value of volunteering, and I thought it would be useful to you if I gave you the highlights of that post here. These ideas should be valid in the UK, the US, the EU or elsewhere around the world. 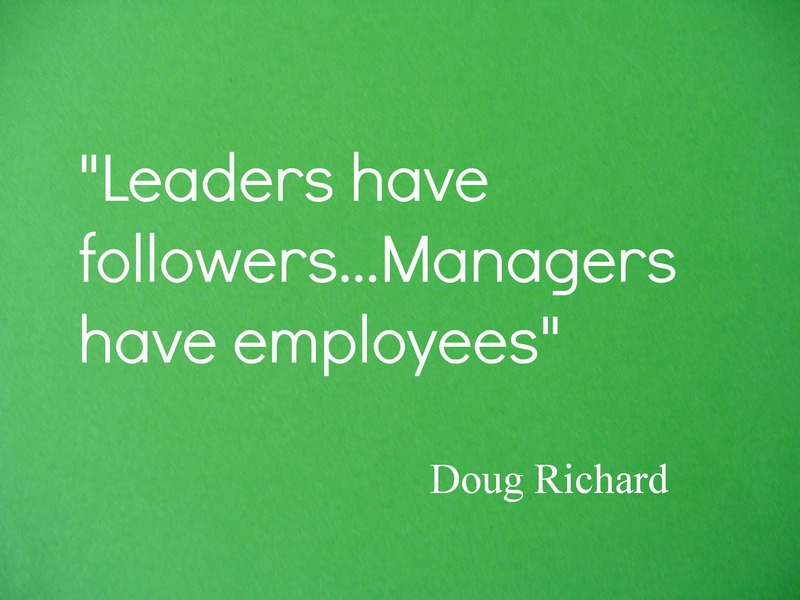 What Leadership Or Management Skills Do You Want To Develop? According to the UK Commission for Employment and Skills there are plenty of managers who could improve their proficiency in several key areas, one of which matches your five point list: UKCES highlights that 32% of managers and professionals could be more proficient in Problem Solving (PS). What are the comparable figures where you are? Taking action to volunteer could address a PS personal development goal. It could definitely benefit someone in a key organisational role, at the same time as benefitting the project’s customers. How Can You Ensure Your Services Are Not Being Unfairly Exploited? There’s a health warning though. Given the climate of limited resources and ‘more for less’ volunteers should not be used as cheap substitutes for paid staff. An organisation’s volunteering strategy should provide an authentic example of doing good for all concerned. It should provide positive benefits to customers whilst developing the volunteers’ skills and confidence (whatever their job title). If a volunteer feels their actions are being exploited they have to speak up. What Support Could You Expect To Receive As A Volunteer? In the example I gave above, good benefits could be achieved by the PS volunteer, as long as it was absolutely clear where the boundaries of that person’s volunteer responsibility lay. The volunteer’s learning would have to be fully supported by their project leader and her colleagues. Once their PS skills and confidence were good, or outstanding, they could continue to develop in different areas. Still offering really good service to the project’s customers as their learning continues. How Are You Going To Learn By Volunteering? Please use the Contact form above, if you would like to discuss coaching support to make the most of your volunteering plans. Goals 2014: What Is Your Work Place #SuccessGoal ? What are you like when you are not pursuing success at work? Is the authentic ‘you’ happiest making weekend plans and organising your family life; or does the idea of taking some ‘me’ time away from 9 to 5 problems appeal? How Does Effective Team Work Produce Results? I learned yesterday* that for Netball players, team working is a key part of their time together. Players develop their individual skills and learn how to complement other’s skills successfully, when they work together. Everyone gets to play a part in the team achieving its goals (it sounds like a low ego sport). That principle feeds back into their successful professional lives too, by all accounts. What Is The Key To Improving Workplace Success? Effective team work lies at the heart of workplace success. The UK Government is making policy decisions to draw on positive behaviours and improve the range of enterprises which are successful. You can visit UKCES website here and learn more about that issue and new proposals to address those development areas. 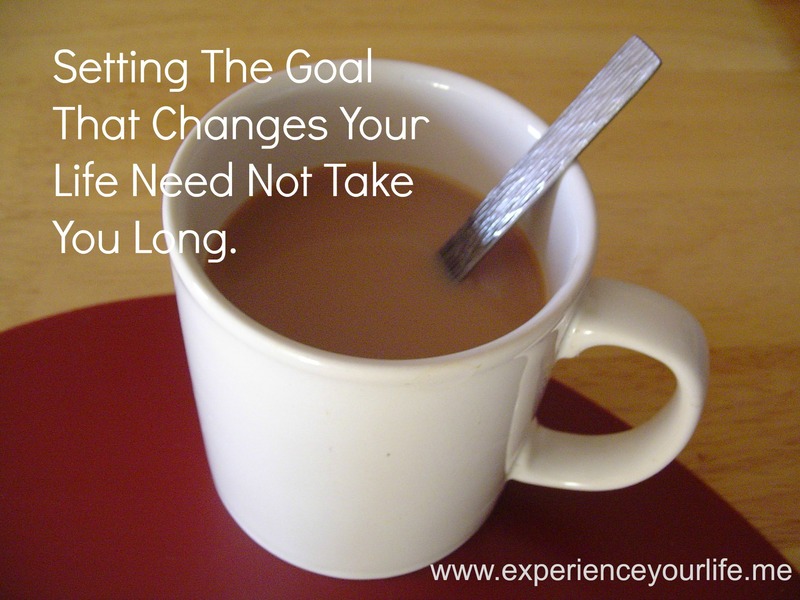 How Will You Set A Goal To Tackle Your Needs? Whether you are in the UK, the US, the EU or further afield did you recognise a development area in your own leadership or management practice in the bullet point list? If so you can relax. These are common issues that crop up in coaching conversations. A discussion with a coach will be a worthwhile first step, if you are ready to improve your performance. If so, I’m happy to discuss your development needs with you and support your actions as you move forward. Who Will You Share Your Progress With? *I am grateful to Kat – whom I met at an Enterprise Nation event – for the inspiration to discuss teamworking beyond the workplace. Kat is an avid Netballer and in charge of Toursprite – a startup offering fancy dress services to groups. Enterprise Nation helps people turn their passions into great businesses. Goals 2014: What Does Equality And Diversity Mean To You? What Is Your First Thought When Equality And Diversity Is Discussed? Does one of your goals involve adding your voice to discussions on life in the modern workplace? If so, do you want to contribute to the important conversation on improving equality and diversity outcomes? I’ve good news, if your answer is ‘Yes’, as I have designed a whole-day leadership workshop on that topic and I could use your help in refining delegate materials. 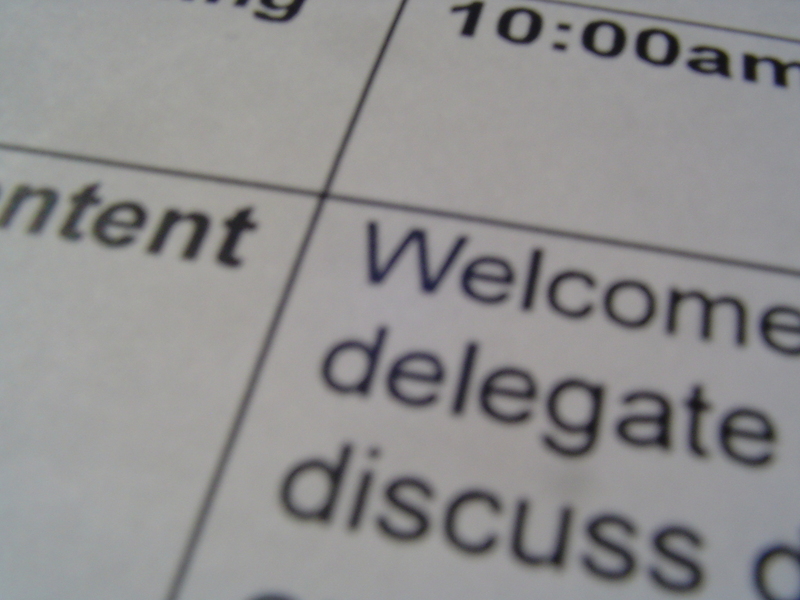 I want to ensure delegates have some topical quotes to look at relevant to the experiences of teams, clients and organisations in a variety of sectors in the UK, US, EU and territories beyond. Do take a moment to look at the bullet point questions below and offer some feedback by replying to this post, or comment through the Contact form (or via Twitter @RogerD_said ) before 19:00 BST on Monday 16 June. If I use one of your quotes in the workshop materials you and your organisation will be credited (please say if you prefer to be anonymous). Many thanks in advance for your help. What does authentic leadership in equality and diversity look like? What are the benefits of getting equality and diversity strategies right? What are the challenges on the horizon for equality and diversity stakeholders? If these questions have whetted your appetite and you want to take the workshop conversation further please feel free to get in touch (there’s a further chance to continue this conversation in September, so feel free to contribute your Comments below this post or across social media). Goals 2014: What’s The Secret To Inspiring Passion In Others Who Encounter Your Brand? What Feeling Do You Inspire? How does your brand’s story connect to your customer’s needs? How are you communicating your values to others? 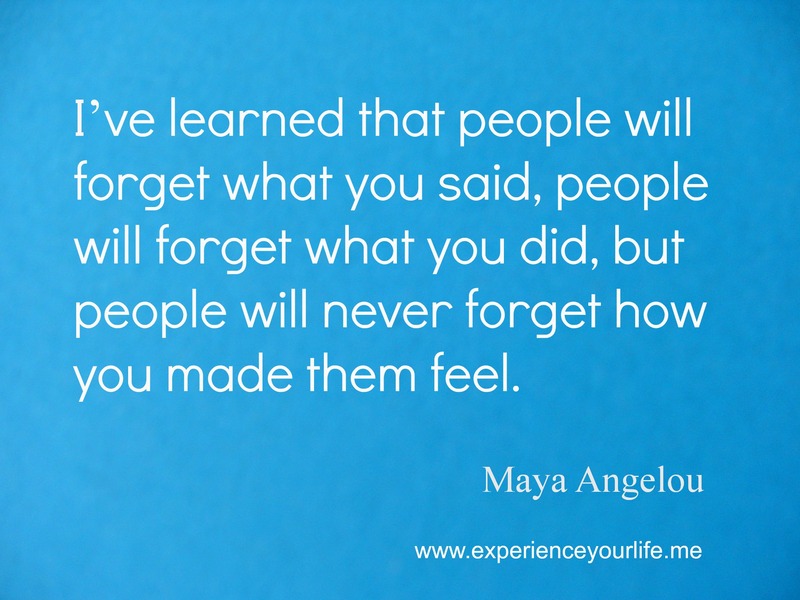 How do they feel after experiencing your service? Digital Social Media Strategist Amanda Hill got me thinking about both of those questions after her presentation at the Business Show, earlier this month. There is more information on Twitter about #TBS2014 and Amanda @Amanda_Hill . What was my key take away from Amanda’s presentation? Establish what it is about your brand that makes you feel the most passionate, and communicate that aspect to your audience. Come to think of it, that quote reminds me of Simon Sinek’s observation that: “People don’t buy what you do. They buy why you do it”. In other words allow your passion to inspire passion in others. How do You Establish The Authenticity Of Your Brand? Whoever is in your ideal audience, how will you establish your passion and authenticity with them through your choice of words, or visuals? Will they have a deep and empathic response to you as a result of your connection strategy? Will they trust you enough to follow your heartfelt leadership on creative, family, or professional matters? How Will You Communicate With Even More Passion Next Week? What simple and effective step will you take to share even more of your authentic and heartfelt passion for your work? Once you have taken that step, what will you do next to cement your reputation? How will you know your approach is paying off?